This is a poetry website unlike any other I have seen. The editor, Canese Jarboe, creates handmade collages to compliment the poetry she showcases on the site. 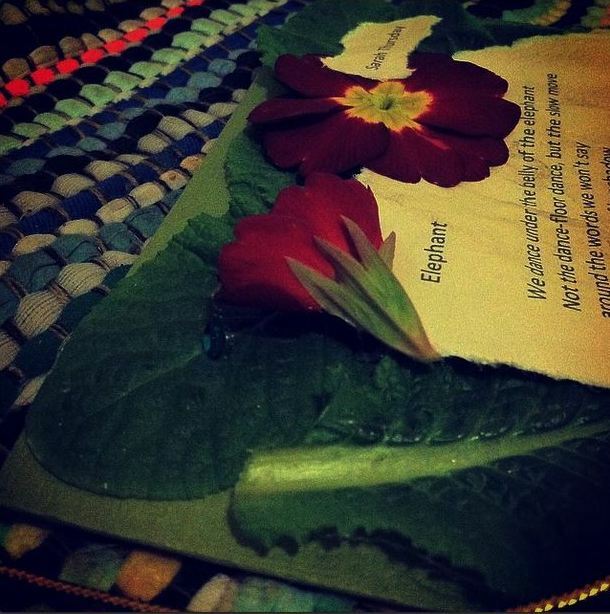 She has graciously accepted “Elephant”, a poem of mine, and created a beautiful frame of leaves and flowers. She feels the leaves evoke the texture of elephant skin. The photo here is merely a glimpse. You need to visit velvet-tail.com for yourself to see my poem as well as other pieces displayed with her creative vision.